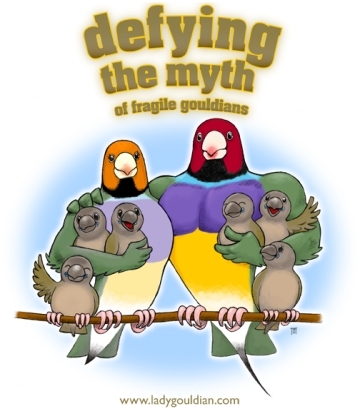 “The short-term benefits of administering antibiotics to weak individuals of families should never be regarded as a long-term cure for these birds. Overall, it is the attention to detail, strict hygiene and good management practices rather than the use of medicines that remain the best long-term solution to strengthen and establish families of previously weak birds. With these 2 approaches in mind, you can now learn to identify in droppings the pathogens causing illness in your flock and administer the correct medication to allow breeding and reproduction to take place, insuring future generations of strong, healthy offspring with no need for medications in the future. Dr. Rob Marshall’s Canary Health book deals with breeding canaries, the Health, Disease & Treatment sections are completely applicable to any finch species. 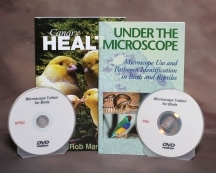 Please Note: The Microscope DVD shows a complete necropsy of a pigeon. Each item in this kit can be purchased separately!